With Sarah Walker. Including Five Reasons to Love the music of St Mark's, Venice; Stravinsky: Dumbarton Oaks; pianist Murray Perahia, featured in Chopin's Piano Concerto No 1. A selection of music including '5 Reasons to Love... the music of St Mark's Venice'. The iconic domes and multiple choir lofts of the opulent St Mark's Basilica in Venice led to the birth of the Venetian polychoral style, as composers experimented with the sound delays and unique effects of the building by positioning choirs around the cathedral. Throughout the week Sarah investigates how composers including Giovanni Gabrieli, Monteverdi and Merulo exploited the acoustics and architectural peculiarities of St Marks to create sixteenth-century surround-sound for their virtuosic vocal and instrumental compositions. 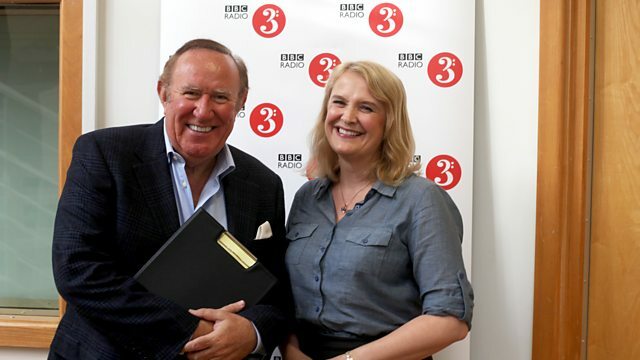 This week's guest is Andrew Neil. A veteran broadcaster and one of Britain's best-known political journalists, Andrew presents the BBC's live political shows Daily Politics, Sunday Politics and This Week. Andrew will be talking about his career as a newspaper editor and journalist, and sharing a selection of his favourite classical music, every day at 10am. Sarah places Music in Time with Stravinsky's Dumbarton Oaks, an example of Neoclassicism, a key Modern trend. Murray Perahia's big break came in 1972, when he became the first North American to win first prize at the Leeds Piano Competition. Since then he has put a remarkably wide range of repertoire on disc in a recording career that has lasted more than four decades, and is still going strong. Sarah features Perahia in one of the greatest versions of Schubert's Fantasie in F minor, where he's joined by Radu Lupu. There's also a critically acclaimed account of Brahms's Handel Variations, and two popular piano concertos: Beethoven's third and Chopin's first. Plus there's a rare opportunity to hear conductor Georg Solti at the piano when he joins Perahia in Bartok's Sonata for Two Pianos and Percussion. Choir: Choir of King’s College, Cambridge. Ensemble: His Majestys Sagbutts and Cornetts. Conductor: Stephen Cleobury. Orchestra: Concerto Köln. Ensemble: Sarband. Performer: Alina Ibragimova. Ensemble: Arcangelo. Director: Jonathan Cohen. Orchestra: Royal Liverpool Philharmonic Orchestra. Conductor: Sir Charles Groves. Fete a la Francaise: Orchestre Symphonique de Montreal/Dutoit. Ensemble: Ensemble intercontemporain. Conductor: Pierre Boulez. Performer: Giuliano Carmignola. Orchestra: Orchestra Mozart. Conductor: Claudio Abbado. Performer: Murray Perahia. Orchestra: Israel Philharmonic Orchestra. Conductor: Zubin Mehta. Performer: Christian Lindberg. Orchestra: BBC Symphony Orchestra. Conductor: Leonard Slatkin. Performer: Eligio Quinteiro. Ensemble: I Fagiolini. Ensemble: The English Cornett and Sackbut Ensemble. Director: Robert Hollingworth.